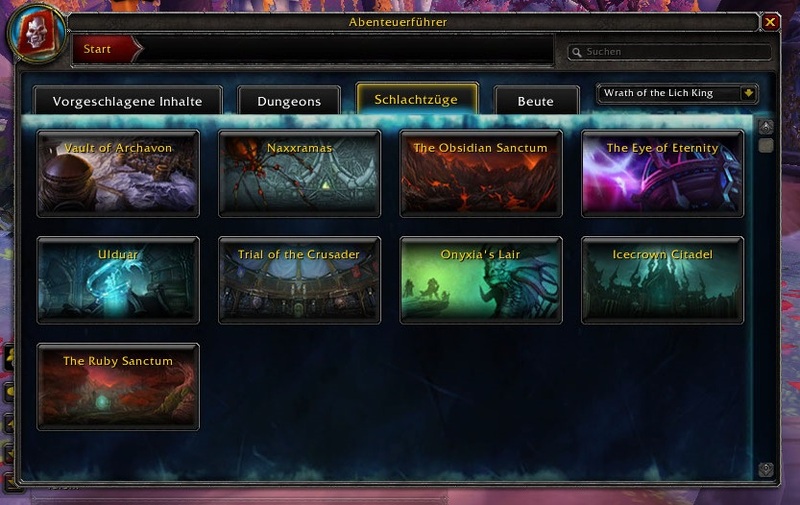 Im Verlauf des gestrigen Tages haben die Entwickler von WoW scheinbar ohne eine Ankündigung den neuen Dungeon „Rabenwehr“ in der aktuell laufenden Alpha zu der kommenden Erweiterung „Legion“ freigeschaltet, sodass interessierte Tester sich nun über das Suchtool für diese Level 110 Instanz anmelden können. 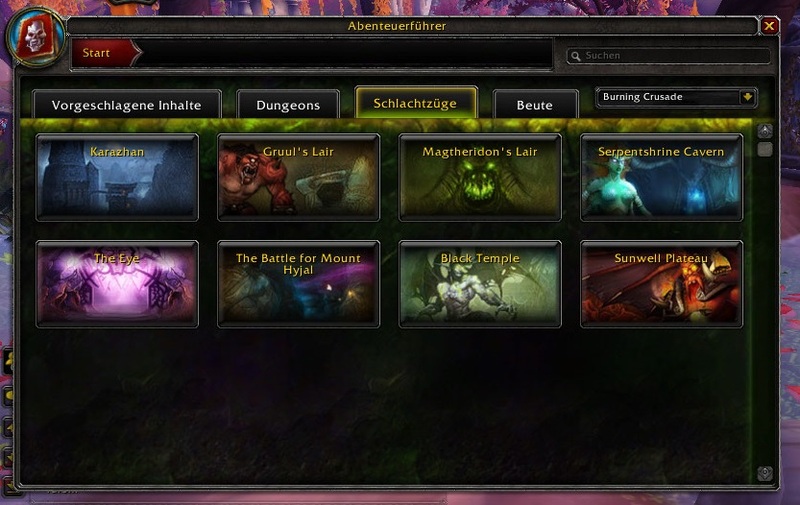 Passend dazu haben die YouTuber von „FatbossTV“ mittlerweile nun auch wieder ein recht umfangreiches Video zu diesem Dungeon auf ihrem Kanal veröffentlicht, welches die einzelnen Bosse und Abschnitte dieser kommenden Instanz in der Alpha ausführlich vorstellt. 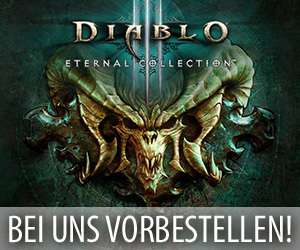 Dabei stellt die „Rabenwehr“ im Grunde allerdings die Festung von Kur’talos Rabenkrone dar und diente dem Volk der Nachtelfen im Krieg der Ahnen als Bauwerk gegen den Ansturm der brennenden Legion. 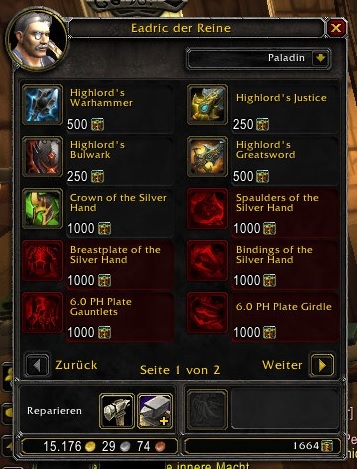 Im nächsten Addon werden die Dämonen diesen Ort dann scheinbar erobern und den ehemaligen Hausheeren als einen untoten Diener der Legion wiederbeleben. 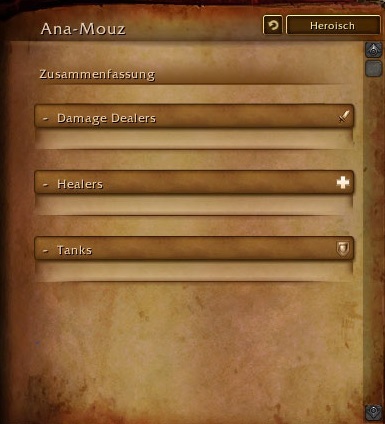 Aus diesem Grund treffen die Spieler beim Besuch dieses Dungeons dann auch hauptsächlich auf wütende Geister der Nachtelfen und Vertreter der brennenden Legion. Immense soul energy was released when Gul’dan conducted the ritual to sever Illidan’s soul from his body at Black Rook Hold. This energy brought the souls of the Ravencrest clan back to their ancestral home – and residual soul energy has merged them into a massive monstrosity. Overview – The Amalgam of Souls battles players until reaching 50% health, at which point it ruptures, splitting into the tortured souls of the Ravencrest ancestors. Keep moving and avoid other players while afflicted withSoul Echoes. After the Amalgam splits, Staellis Rivermoor will need to be tanked. Reap Soul – Cuts targets in front of the Amalgamation to their very soul, inflicting 1,560,000 Shadow damage and increasing damage taken by 20% for 30 sec. Swirling Scythe – Throws a scythe towards a player, inflicting 455,000 Physical damage and knocking back any players it comes into contact with. Soul Echoes – Fragments a players soul, causing them to leave behind soul echoes. These echoes detonate inflicting 286,000 Shadow damage to nearby players. Call Souls – Lures the restless souls in the Ravencrest crypts towards the Amalgamation of Souls. If they reach him, they will grant him Soulgorge. Soulgorge – The Amalgam absorbs a soul, destroying it and increasing the damage inflicted by Soul Burst by 50%. Soul Burst – The Amalgam of Souls bursts, inflicting 390,000 Shadow damage to all players and releasing the most powerful spirits of Lord Ravencrest’s ancestors. The daughter of Lord Ravencrest, imprisoned for millinea in the Vault of the Wardens shortly after the War of Ancients, found herself free after Maiev released the demon hunters from their prison. Returning to her ancestral home, she has sacrificed everything – including her very soul – to defend what she could not during the War of the Ancients. 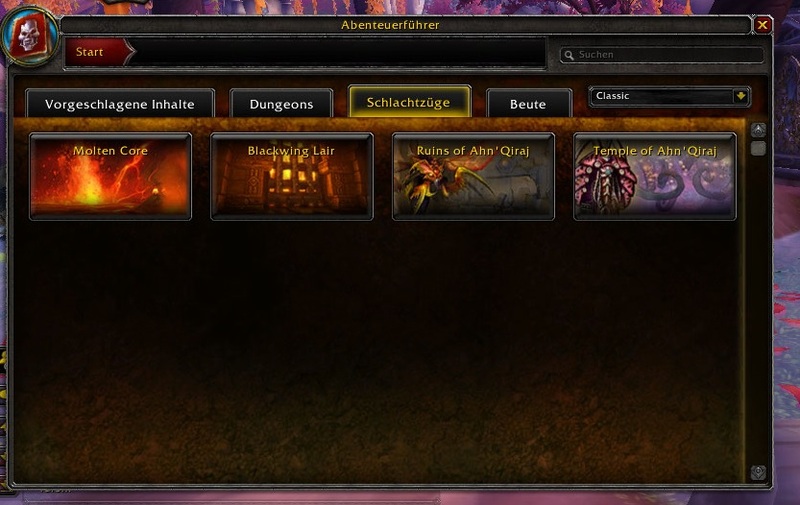 Overview – Ilyssana fights players on the ground as her Fury bar builds. When it fills, she leaps into the air and unleashes deadly eye beams as she calls her risen guards to dispatch the party. Each eye beam partially depletes her Fury, and when she can no longer use eye beams to attack the party, she lands, re-engaging on the ground. Interrupt Risen Arcanists‘ Arcane Blitz. Avoid Risen Vanguard’s Bonecrushing Spike. Vengeful Shear – A deadly attack shears the target, inflicting 1,755,000 Physical damage. Additionally, increases damage taken by 100% for 25 sec if the target is not using active mitigation. Dark Rush – Illysanna fixes her gaze on players. After a short time she dashes between them, inflicting 0 Physical damage and leaving a Blazing Trail in her wake. Blazing Trail – Inflicts 156,000 Fire damage every 3 sec. Brutal Glaive – Inflicts 195,000 Physical damage immediately, and 91,000 Physical damage every 2 sec. for 30 sec to a targeted player, bouncing to any other nearby players. Eye Beams – Fires a beam of fel power that follows a player, leaving behind patches of Felblazed Ground. Felblazed Ground – Inflicts 227,000 Fire damage every 1 sec. to any players inside Felblazed Ground. Bonecrushing Strike – Inflicts 273,000 Physical damage and stuns all players in a cone in front of the Vanguard for 4 sec. Arcane Blitz – Inflicts 260,000 Arcane damage and increases the caster’s damage done by 50% for 10 sec. A brutal, imposing Mo’arg Lieutenant, Smashspite the Hateful led the Legion’s invasion of Black Rook Hold and commanded defense of the keep from the air via his colony of felbats. Overview – Smashspite engages players on the ground with heavy physical attacks, periodically calling in felbats to cover the ground in deadly Fel Vomit. Minimize damage taken by Smashspite’s melee attacks to slow the rate at which his Brutality bar fills. When Smashspite’s Brutality bar fills, he will use Brutal Haymaker, inflicting heavy damage and increasing damage taken for a short time. Stand between Smashspite and his target to intercept Hateful Charge if they have the debuff from intercepting an earlier charge and you don’t. When Smashspite’s Brutality bar fills, he will use Brutal Haymaker on the tank, inflicting heavy damage and increasing damage taken for a short time. Earthshaking Stomp – Stomps the ground, inflicting 416,000 Physical damage to all players and knocking them back. Hateful Gaze – Smashspite the Hateful focuses his gaze on a target. Hateful Charge – Impacts the first player he comes into contact with, inflicting 1,041,000 Physical damage, knocking them back, and increasing their damage taken from Hateful Charges by 100% for 60 sec. Brutality – Smashspite’s damaging melee attacks grant him Brutality in proportion to the damage done. Brutal Haymaker – Smashspite punches his current target, inflicting 1,690,000 Physical damage and increasing damage taken by 100% for 10 sec. Call of the Felbat – Smashspite calls down a Felbat. The frequency of this ability increases as the encounter continues. 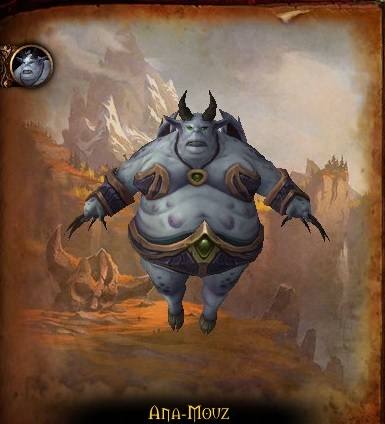 Fel Vomit – A nearby felbat marks a target, who they will vomit foul fel bile in the direction of after a short duration, creating pools of Fel Vomitus. 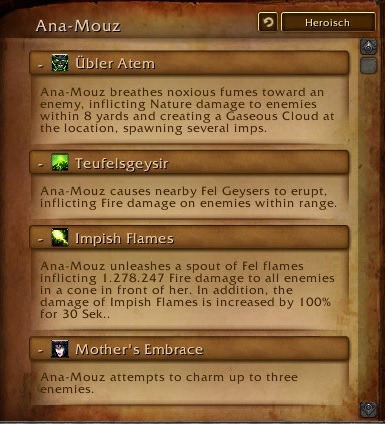 Fel Vomitus – Inflicts 358,000 Fire damage to any players who come into contact with a pool of Fel Vomitus. Kur’talos Ravencrest, Lord of Black Rook Hold, was the commander of the Kal’dorei Resistance during the War of the Ancients until he was assassinated by Varo’then under the orders of Queen Aszhara. Millenea later, Gul’dan’s foul soul magic has awoken Ravencrest’s soul, and those of his ancestors, from their eternal repose. The Legion, seeking revenge, gleefully forced his soul into his body and mesmerized him, forcing him to eternally relive the horrors of the War of Ancients. Overview – Ravencrest will engage the player while his advisor, Latosius, teleports around the area, attacking wih dark magic. Once Ravencrest has been reduced to 20% health, Latosius will reveal his true form – that of the dreadlord Dantallionax, and will rip Ravencrest’s soul from his body. As Ravencrest calls on the souls of his ancestors to empower the party, they must defeat Dantallionax and cleanse the Legion from Black Rook Hold. Unerring Shear will deal heavy damage and reduce your maximum health. Kill Stinging Swarm to stop taking damage and being stunned by Itchy!. Move in a circular pattern to avoid Dantallionax’s casts of Dark Obliteration after he splits when using Dreadlord’s Guile. Unerring Shear will deal heavy damage to the tank and reduce their maximum health. Kill Stinging Swarm on yourself or your party members to stop damage and being stunned by Itchy!. Unerring Shear – A deadly attack shears the target, inflicting 2,015,000 Physical damage and reducing their maximum health by 20%. Whirling Blade – Throws a glaive at a targeted player, traveling back and forth from the position it was thrown. The glaive inflicts 487,500 Physical damage and knocks back any targets it touches. Lightning Strike – Lightning periodically strikes the tower, inflicting 1,850,000 Nature damage to any targets caught in the blast. This damage affects both players and enemies. Dark Blast – Inflicts 1,105,000 Shadow damage to all enemies in a line in front of the caster and knocks them back. Shadow Bolt – Inflicts 162,500 Shadow damage. Legacy of the Ravencrest – Lord Ravencrest calls on the power of his ancestors to grant the party strength, increasing damage done, healing done, and health by 300%. Stinging Swarm – Envelops the target in a swarm of stinging insects, inflicting 400,000 Physical damage every 1 sec. Cloud of Hypnosis – Creates a cloud of hypnotic gas, causing anyone who enters it to be put to sleep. Taking damage or leaving the cloud will remove the effect. Dreadlord’s Guile – Splits into several images, who each cast Dark Obliteration in sequence. Shadow Bolt Volley – Launches a volley of shadow energy towards all players, inflicting 987,192 Shadow damage.